Something we really love about our clients is that they inspire us to implement new features and continuously improve the product portfolio. One outcome of the many great ideas is the Explorer Kit. 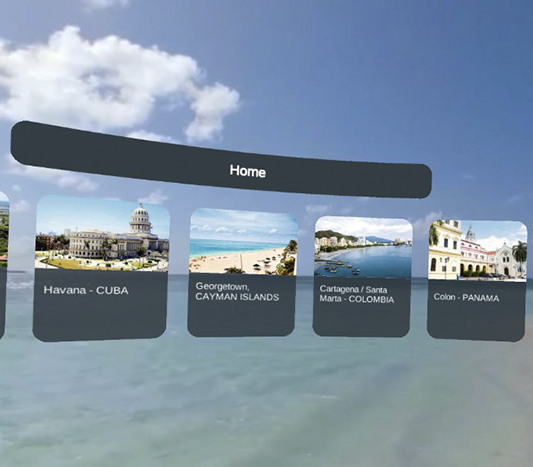 We designed the Explorer Kit for all clients who want to enable their audience to browse available content in VR headsets by themselves. This is especially useful when you want your team to focus on different tasks while still providing impressions to their audience via the VR headsets. If you have content dedicated to sharing impressions without needing any additional explanation, the Explorer Kit is your choice. Your audience can navigate through the available content without the use of a hand controller but simply by using our eye control that we implemented in the VR headset. Open the world to them without long instructions before usage. If you need inspiration on how best to use the Explorer Kit, click here. And guess what – the Explorer Kit can be transformed into a Guide Kit with a few clicks. This leaves you with all options to make the most out of your hardware. There is no need to limit functions, you agree?